Known collectively for their rich, blue-violet hues and intensly juicy flesh, Blueberries are, nonetheless, not all created equal. California Tropical has done extensive research, including on its own nursery “proving grounds,” to ensure the viability of the Blueberry varieties it grows. 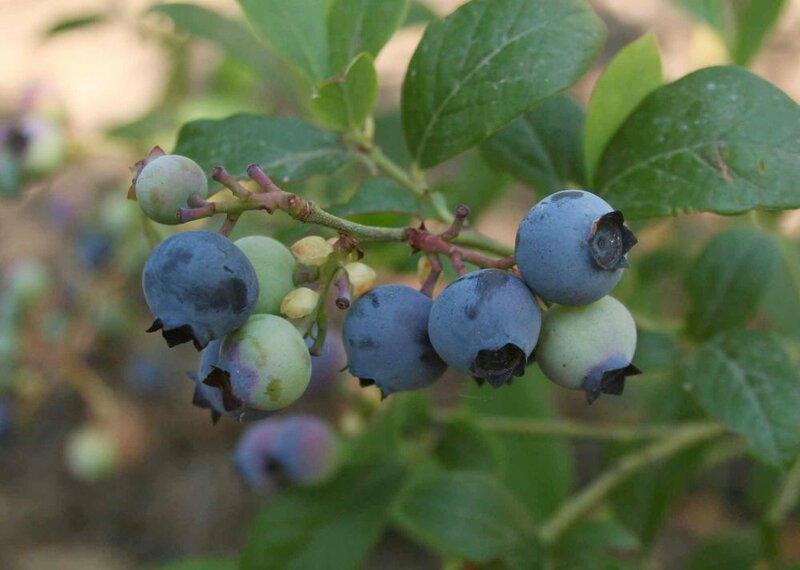 Unlike the Blueberries common throughout more northern climates, those grown by California Tropical require significantly fewer chilling hours, which is the winter dormancy period decidous fruit trees and shrubs need to successfully bloom and yield fruit in spring/summer. To help better understand the importance of identifying your “chill zone,” we encourage you to reference the map below, as well as Contact Us with further questions. Offering one of the best flavored berries with predictable, consistent sweetness, the O’Neal Blueberry initially produces visually striking white flowers that bloom longer than other varieties. Prized for its very early ripening and large, sweet and flavorful berries, the Star Blueberry is a great variety for growing in California and similar regions with mild winters. This southern highbush variety has desirable early ripening performance, and produces an abundance of high-quality berries. The Jewel Blueberry also provides excellent cross-pollination with the Emerald variety. Misty Blueberries feature attractive blue-green foliage and lovely pink or white flowers, making them desirable as a year-round planting as well as producer of sweet, firm berries. A high yielding Southern Highbush variety, the Misty Blueberry is a fast-growing, low-maintenance and reliable choice for any warm climate landscape. The Jubilee Blueberry is a compact, self-pollinating bush with white, bell-shaped blossoms that appear in spring. A consistent annual producer of premium, powder-blue berries, the Jubilee variety is also highly attractive in the fall, when its leaves change from green to red and purple hues. Southmoon Blueberry is a perennial shrub that grows up to 6 feet in height, and requires at least six hours of full sun exposure each day. Requiring only 500 chill hours, it is ideal for warm climates, and yields berries with a firm texture and complex juicy-sweet flavor perfect for fresh-picked enjoyment or as part of summer cuisine.